Should Denver target an Iowa tight end at 10 overall? It has been a while since the Denver Broncos had a dominant player at the tight end position. Ever since former tight end Julius Thomas had back-to-back 12-touchdown seasons in 2013 and 2014, the Broncos have been searching for that same production. Denver has gone through a number of tight ends over the years — which begs the question — is it finally time for the Broncos to find a difference-maker at the position? 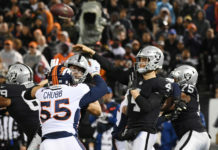 The Broncos did resign Jeff Heuerman to a contract extension this offseason, but is a player who has just 49 career receptions and four touchdowns really the solution moving forward? 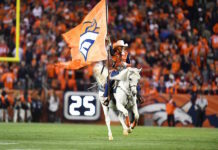 That is the question John Elway and the Broncos organization have to answer this offseason because if Heuerman is not the solution long-term, then Denver should be looking to grab his replacement in next month’s draft. Denver currently holds the 10th pick in the draft, which could be a prime spot to draft a top tight end prospect in either T.J. Hockenson or Noah Fant. Either one of Hockenson or Fant could have a positive impact on the Broncos offense as both players had tremendous careers at the University of Iowa. In Hockenson, the Broncos could get a solid blocking tight end who is not afraid to mix it up at the line of scrimmage. Not only can Hockenson do that, but he also had 73 receptions in his two seasons at Iowa and collected 1,080 yards receiving to go along with nine touchdowns. Standing at 6’5” and weighing in at 251 pounds, Hockenson would add a different dimension to the Broncos offense with his ability to open up running gaps for Phillip Lindsay and passing lanes for new quarterback Joe Flacco. Not only can Hockenson make tough, contested catches like in the video above, but he is also tremendous after the catch and in space. The same can also be said for Hockenson’s teammate, Fant, as he also could be in play for Denver at 10th overall. Denver reportedly met with Fant at the NFL Combine, who had a great week in Indianapolis and had teams buzzing about what kind of player he could be at the next level. After running a blazing 4.5 40-yard dash — which was the fastest time by a tight end — Fant also had the best vertical jump (39.5) of anyone at his position group. Fant’s Combine performance was just the cherry on top of a solid three-year career at Iowa in which he caught 78 passes, hauled in 1,083 receiving yards and scored 19 touchdowns. Fant plays like a wide receiver that just so happens to play tight end in that he is a deadly weapon as a playmaker in the passing game. Adding a target like Fant would immediately provide Flacco a safety blanket he could rely on in the red zone and on third downs. Fant is a big target at 6’4” and 249 pounds and could potentially be a great fit next to Hueuerman, which would provide Denver with a nice one-two punch at the tight end position. 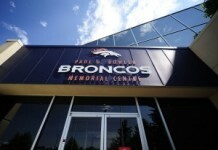 Whether Denver considers Hockenson or Fant is something we will not know until draft night, but there is no question either could help the Broncos offense next season and beyond. 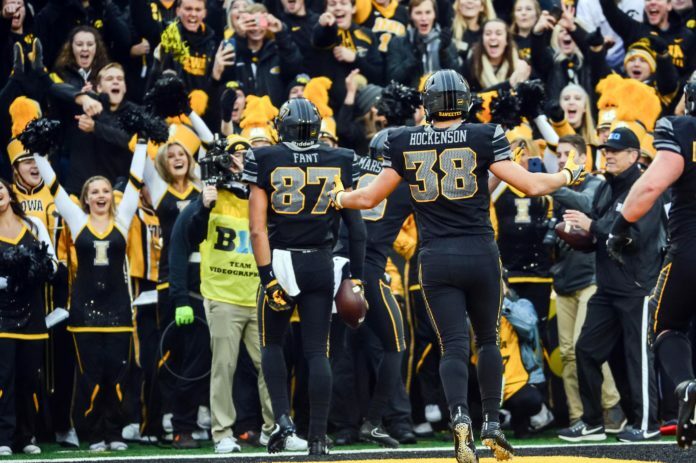 It is incredibly special for two players this talented to have come from the same school — while both playing the same position — but that is what Hockenson and Fant have done. For a team still looking to upgrade its tight end room, the Broncos would be foolish to not consider either one of these Iowa products come draft night.